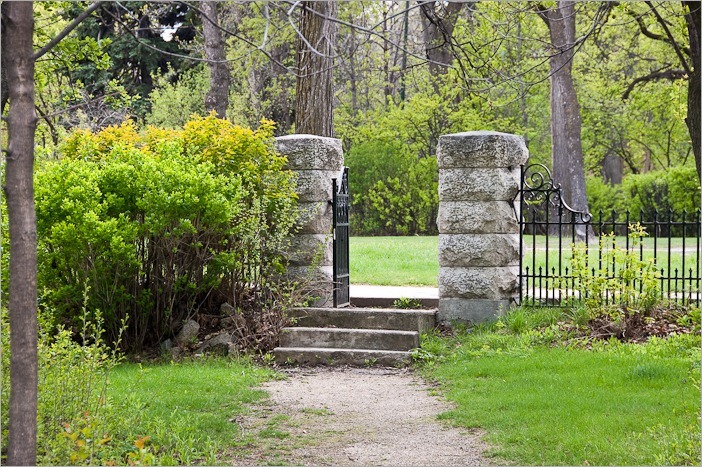 John Henry Munson was born in 1859 in Cobourg, Ontario. 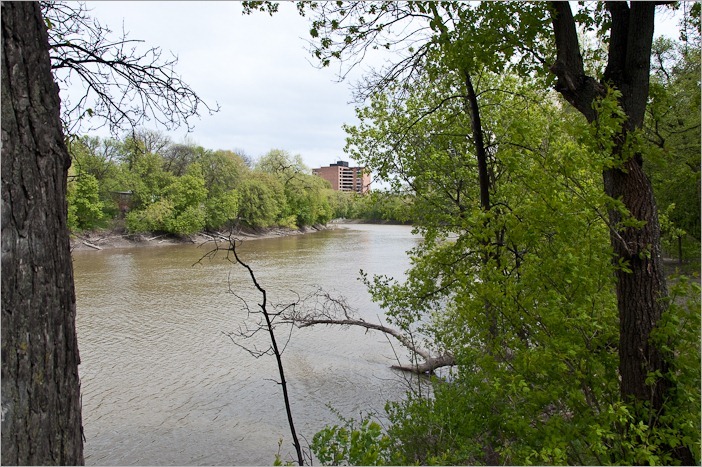 He was a lawyer and lived on an extensive piece of land on the borders of the Assiniboine river in Winnipeg. 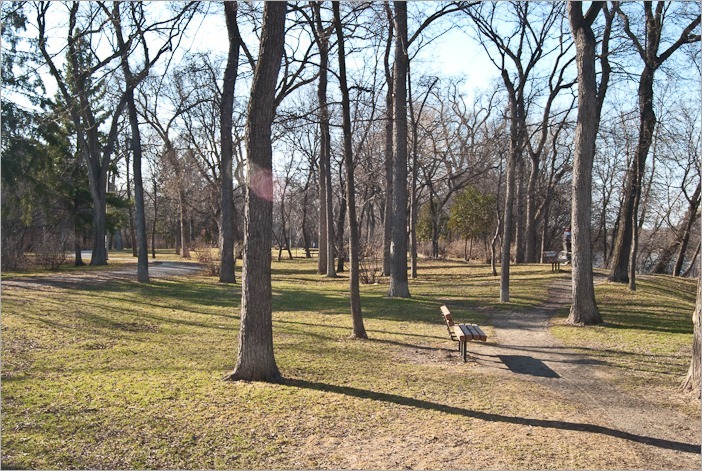 Today it is called Munson Park. This was the site of the house on what used to be Munson’s farm. The original home, built in 1889, was renovated and modernized during the time it was owned by the James Richardson family. It had its own private swimming pool and a large kitchen garden. It was demolished in 1980. Some people still call this park Richardson Park. 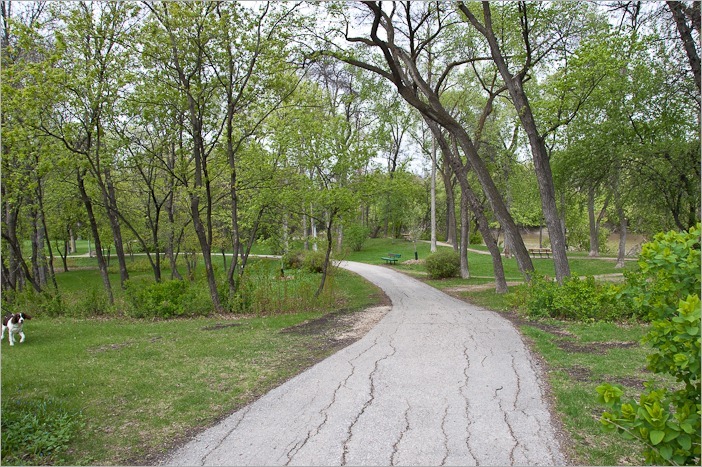 The Richardson family then donated the land to the City of Winnipeg to make a park out of it. 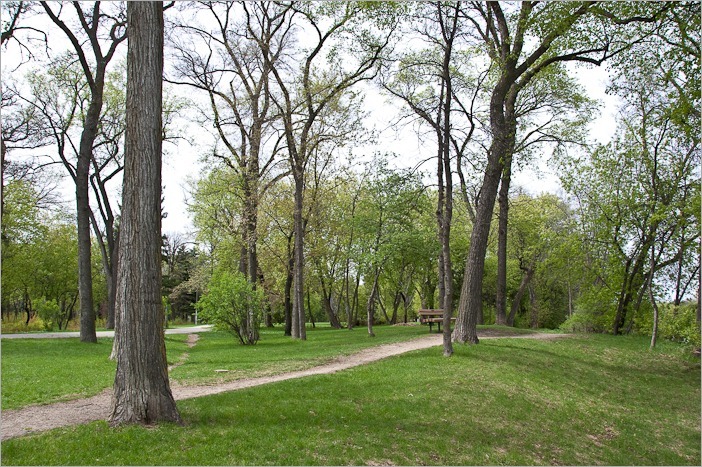 A little history of Munson Park, provided by the Manitoba Historical Society. Of course there would be a lot more to tell about JH Munson and his lawyer activities. After all,people always think of a specific occupation when asked about the oldest occupation in the world, right? Well, if you think you know the answer, think again. The oldest occupation in the world is “lawyer”… Where else do you think the chaos of which the world was made came from? The legacy of this lawyer, however is still here and can still be enjoyed by everyone. And this level of water occurs nearly every year for some time. If the time is longer than a few days, we speak of a flood, otherwise it’s just high water. But either way the land needs to be protected. 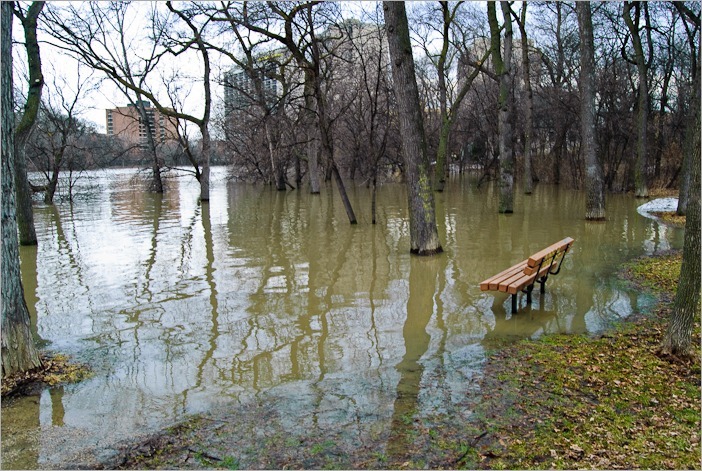 Once the water subsides, the park becomes available again. And then, the waiting begins. Winnipeg is a slow awakening city in spring. Winter brings lots of snow and ice, obviously. But this ice needs to be “neutralised” for traffic with salt. At least that’s what you would think. But salt is not effective below –10C. So here in Winnipeg they add sand and gravel to the mixture so that traffic can continue without too many problems. That same gravel gives a fine dust when spring comes. Winnipeg is dry in spring and that dust just insinuates itself everywhere. Once there is no more risk of heavy snowfall, the city cleans the streets and recovers the grit. Most of it. It will be used again next year for the same purpose. We have to wait for the first rains to have a more colourful city. Then, we have to wait until the green leaves start to show themselves. Don’t be fooled, frost is never far away, even at that time. 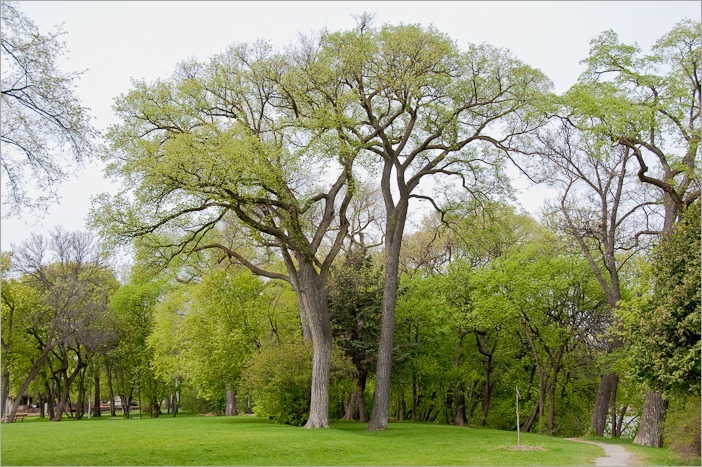 Munson Park starts to become green in mid April to mid May only. Other countries by then already have had all of their spring colours, but here it just starts. 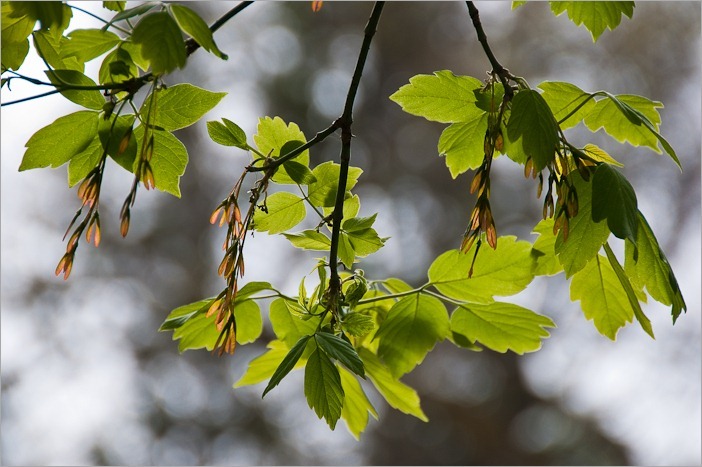 Then the light yellowish green that is typical for the young leaves becomes real green. That is the one that we are all waiting for. It announces better and warmer weather for the rest of the season. From then on we can wait for the first flowers to show themselves. They do that only if they are reasonably sure that they will not be frozen again. After all it is their survival. 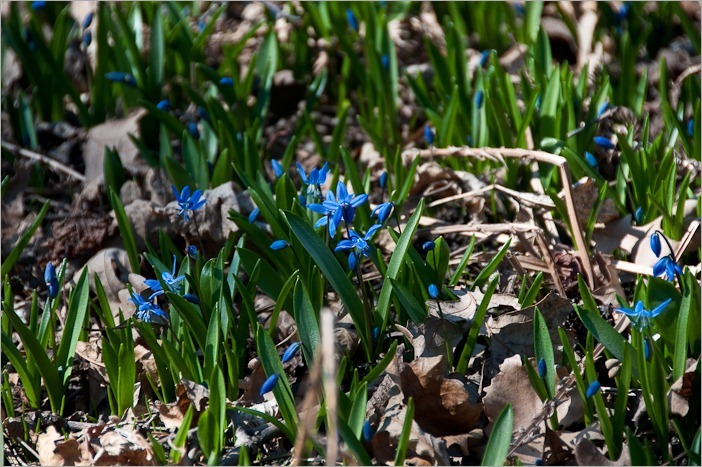 The first ones to show themselves are the Scylla, a small blue sun-loving flower that comes back every year. Once they are there, well, the waiting is nearly over. You didn’t think I would end without blossoms, eh? 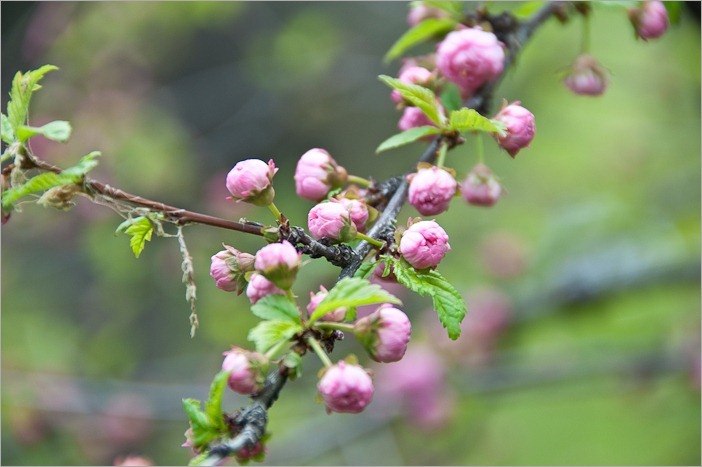 Here they are, beautiful blossoms, still a little fresh, but definitely there! And then, still a few more days and we can enjoy Spring in Winnipeg. Warmer weather, time to go and get a beer on a terrace, or patio as we call it here, and we’re ready to attack summer. I’ll be back with more pictures of the seasons here in Winnipeg. There are more seasons in Winnipeg than simple Winter and Cold Season!